Lots of work going on in there. Now that's something you don't see often, workmen..working!! No shouldn't say that, they do a good job. Great photo. Ah... You've got a real construction unlike me. Love this action shot. Their job always looks so dangerous to me. Interesting --- serious construction. Sarasota Memorial Hospital has a major construction project underway too. You have a nice composition here. The site doesn't look particularly safe. 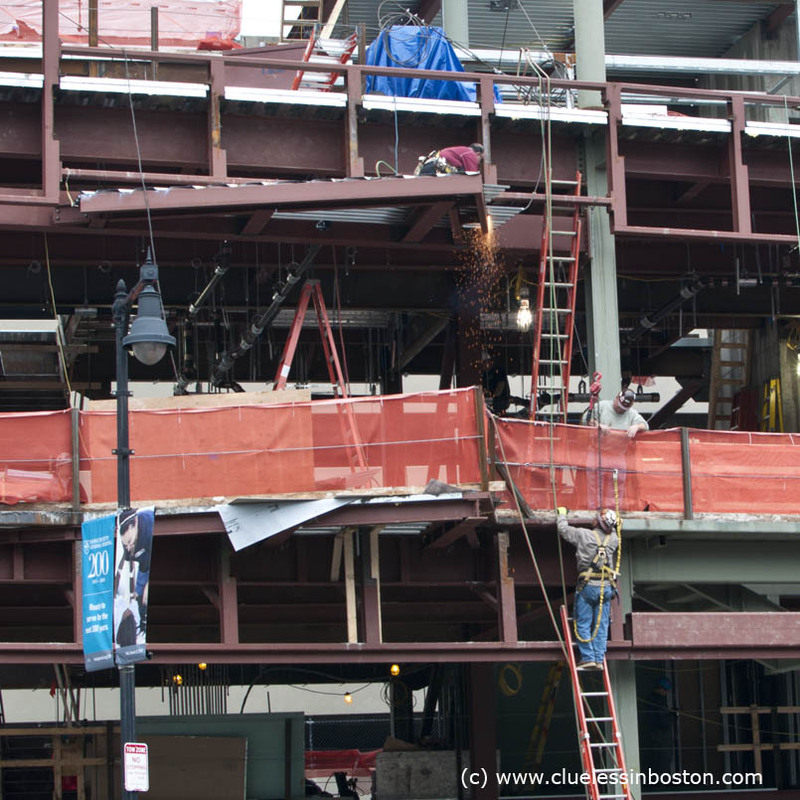 I would have thought that Boston would have very strict work practice regulations. A perfect photo for today's theme day! Looks like it will be many weeks before they can serve patients there! Love this. So much to look at, so well-shot in terms of framing. You really bring us into the action.